The all-new 60L Elements weatherproof fridge freezer is now in store at ARB Coopers Plains. 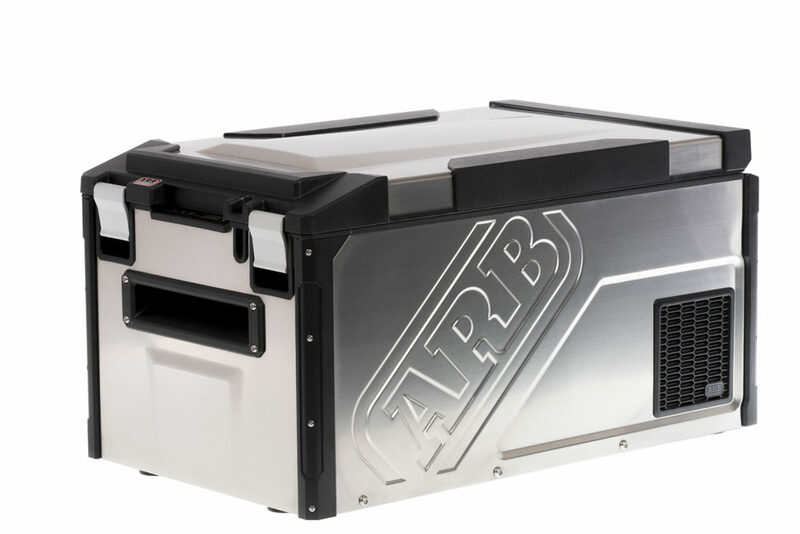 Packed with all the features an ARB fridge freezer is renowned for, and engineered to handle almost anything Mother Nature will throw at it, the Elements fridge is the ultimate addition to any ute tray, wagon or even a boat. The new fridge boasts a stainless steel construction with protective corner mouldings and an electronic locking system. 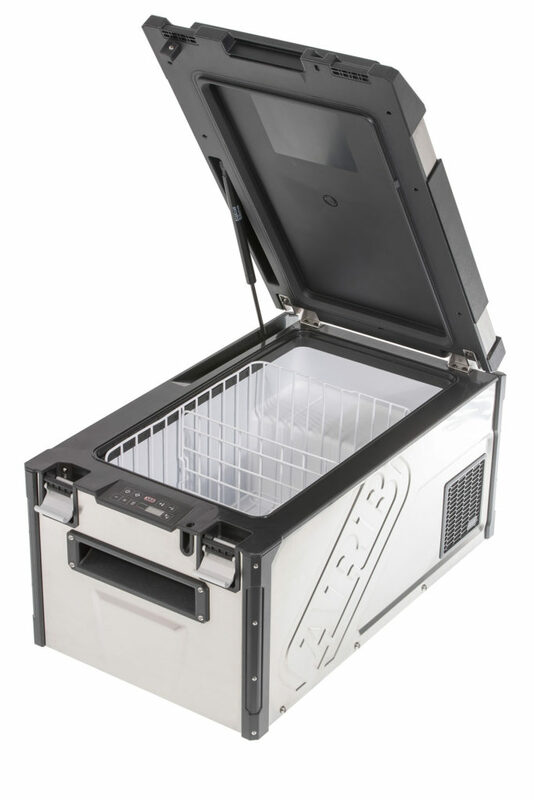 It also features a unique gas strut that will hold the lid open in any position, making access to your food and drinks a breeze. The evaporator now extends entirely around what was previously referred to as the ‘dairy section’. With the added surface area of the evaporator, the entire fridge will now have a uniform temperature resulting in improved efficiency. The user friendly touchpad buttons allows for temperature control and low voltage cut-out adjustment when the lid is open. When closed, the fridge requires a unique 4-digit pin code to access the controls. To prevent unauthorised access or tampering with the settings, there’s an electronic lock which is activated by the touchpad. For additional security, a provision for a padlock has also been built into the exterior.